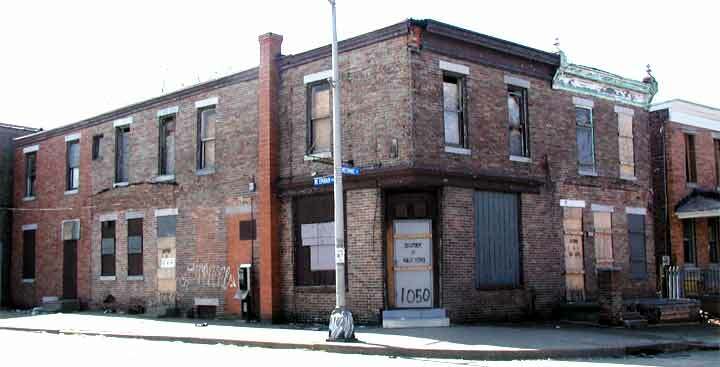 1050 Mechanic Street was the home of a saloon operated by Frank Urzynski at the time of the 1920 census and in 1921. When Prohibition was repealed in 1933, a liquor license was obtained for 1050 Mechanic Street, the southwest corner of Mount Ephraim Avenue & Mechanic Street, in Camden NJ. 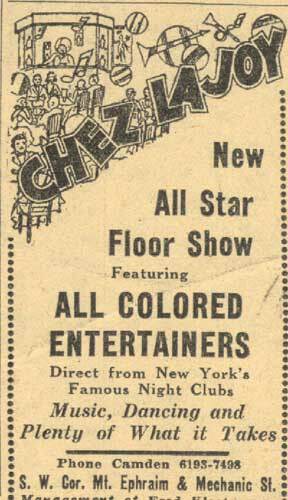 In 1934 the bar was operating as Chez La Joy. In 1935 John Friar, who had grown up on the 1600 block of Fillmore Street in Camden's 8th Ward, was the licensee for the establishment. At some point before 1940, Frank and Mary Urzinski sold the bar to Fred Klosterman, who renamed it Club Cadix,, after a club in Philadelphia where bootlegger Mickey Duffy had survived an attempted hit. Fred and Victoria Klosterman moved into the apartment above, and later to the house next door at 1048 Mechanic Street. Fred Klosterman and his brother Joseph had been involved in the illegal lottery, or "numbers" racket, in Camden. The brothers were convicted and sent to prison on gambling charges after a crackdown that occurred in the aftermath of the murder of Detective William Feitz of the Camden Police Department in September of 1934. Released from prison in July of 1936, Fred Klosterman apparently resumed his underworld activities. On January 6, 1940 Fred Klosterman was shot and wounded outside the bar. 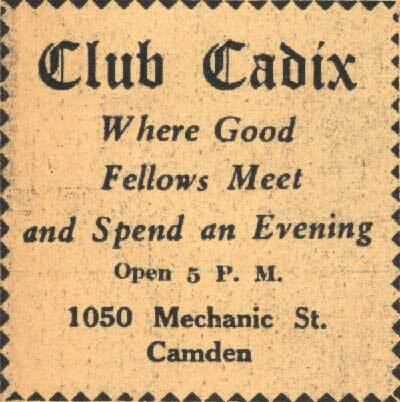 Club Cadix, appears to have remained in the hands of the Klosterman family through the early 1950s, although they had left Camden for the Haddonfield area by 1947. Club Cadix, and it was still operating under that name as late as February of 1952. The 1956, 1959, and 1966 Bell Telephone Directories show this bar as being called Chaney's Bar, and Edward Zajac is shown at 1050 Mechanic Street in those years and in 1970 as well. Edward Zajac had boxed as an amateur and professionally under the name Eddie Chaney. 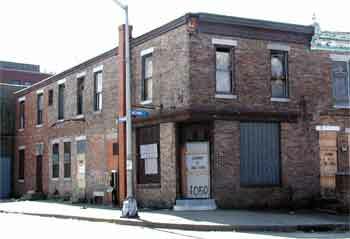 By the 1980s the bar was known as The Bullpen, and owned by a black couple named Frank and Elaine. After a divorce around 1990, Elaine operated the bar. By 1994 she had gone out of business. The building has stood vacant for many years, and while still standing, is in need of repair.